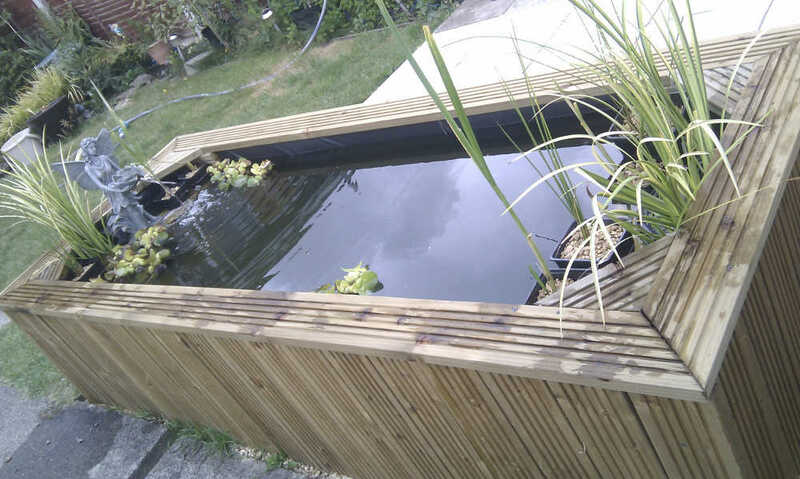 As some of you know, I moved to the UK few month back My 1st DIY project was to make a pond at the backyard of my brothers house who lives in Bristol. Here is the final outcome of the pond. I still have to install the filter and some decoration. Beautiful Deepak Read the detailed report as well. Curious to know about the filtration and what fishes are going in ? Yes I'm keen to know about what fish would go in there too? & how are you planning to avoid it from getting frozen in the winter? will heaters help at all considering the size & moreover being outdoor? I am planning to keep some koi.. but now its nearly winter and may be too late to introduce fish this year. we will keep cold water fish so no plan to keep any heater..
the water freezes here but only top layer ( may be an inch of top ) will became ice for a month ( max). That is why I have the pond 2 feet below the ground level so in case the ice became thicker, the fish will have enough place to move around. I have installed a 10,000 ltr/hr canister with built in UV lamp, will update the thread with the pictures soon. Congratulations ji. All the Best. Thanks for your wishes Dear Jabba and Janardhanam sir. I am missing my Sunday Aqua dose (Weekly meet at B'lore).. so all I can do is to manage by watching picture of the meetings and some some world class tank setup from you all. Nice to see you after a long time. We miss you at the weekly meets too. Please post the further developments with this project. Will eagerly wait for them.